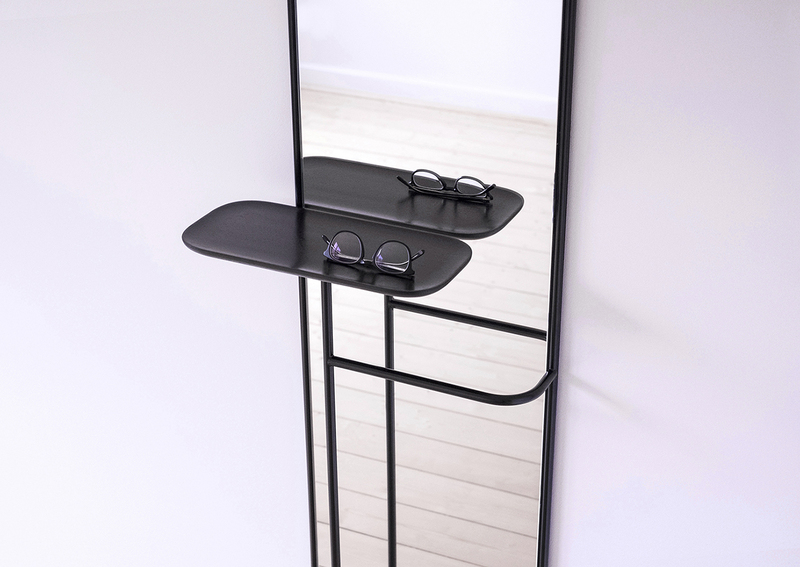 The Concierge Mirror is named aptly after the hotel or apartment manager who handles many everyday needs for guests and residents. 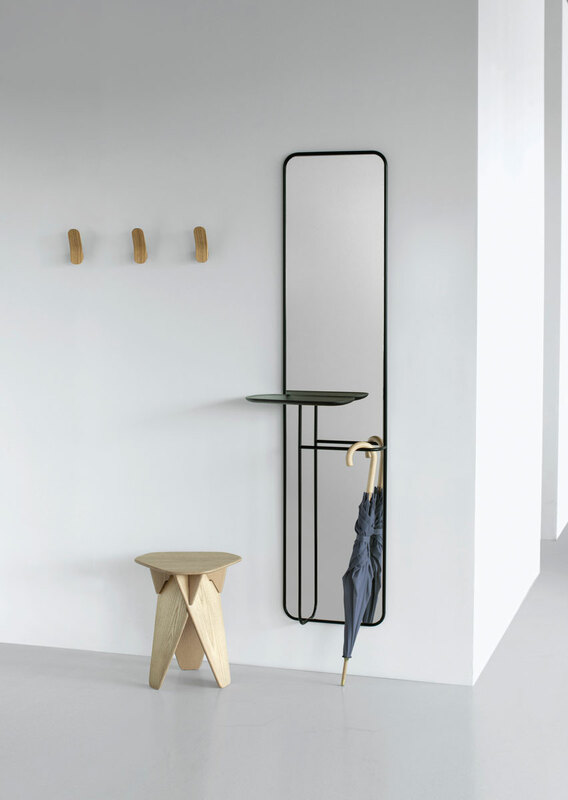 The mirror is characterized by a clear and minimal aesthetic and is a practical and versatile furniture for the hallway, a cross between wardrobe, shelf, and mirror. The solid oak tray offers the possibility of storing everyday utensils such as keys, wallets or keys already as you enter the corridor area. The slender and minimal steel frame offers to hang umbrellas and scarfs. 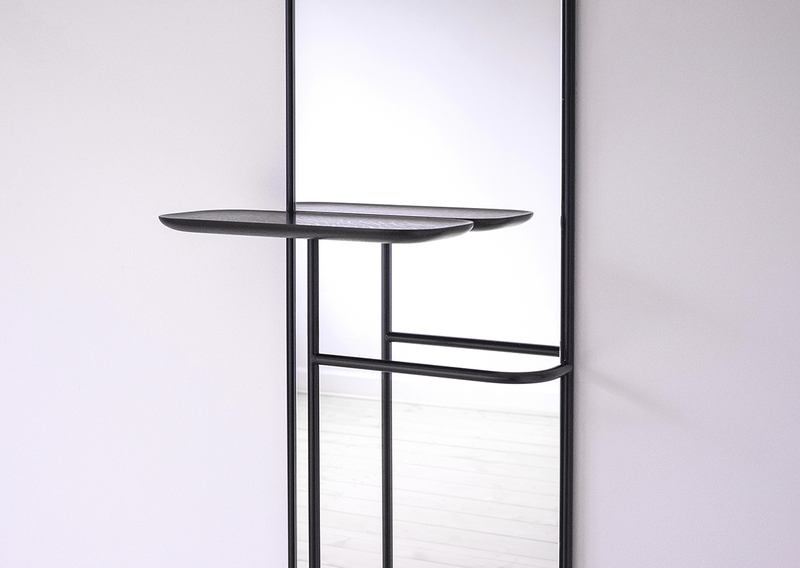 A practical and versatile furniture for the hallway.